Following a change in ownership, Dorking Brewery approached Progression to help refresh their identity and consumer-facing brand. 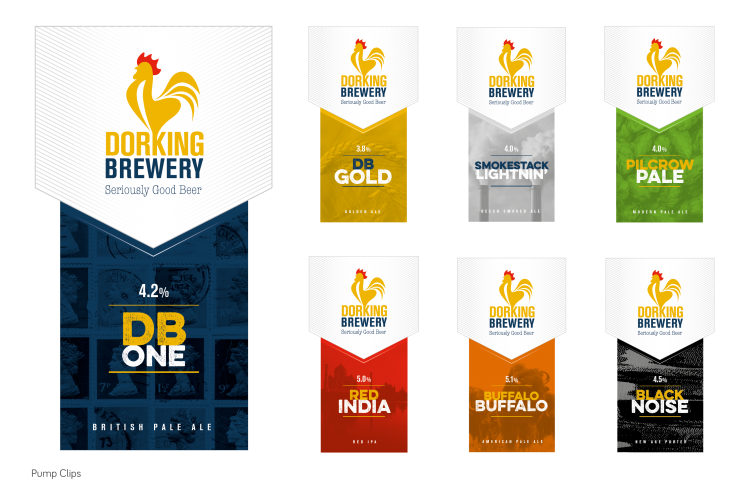 Progression successfully modernised their logo and branding whilst keeping an element of their previous brand (to ensure the existing, loyal following were not turned off) by incorporating the yellow and blue, along with the ‘Dorking Cockerel’ which are all symbols associated with the brewery. 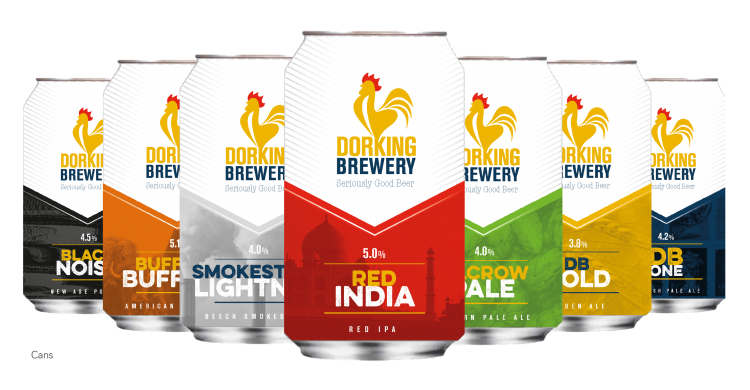 Moving into new markets, Dorking Brewery wanted a brand that worked both on traditional pump clips (found in pubs), as well as on short-run cans. 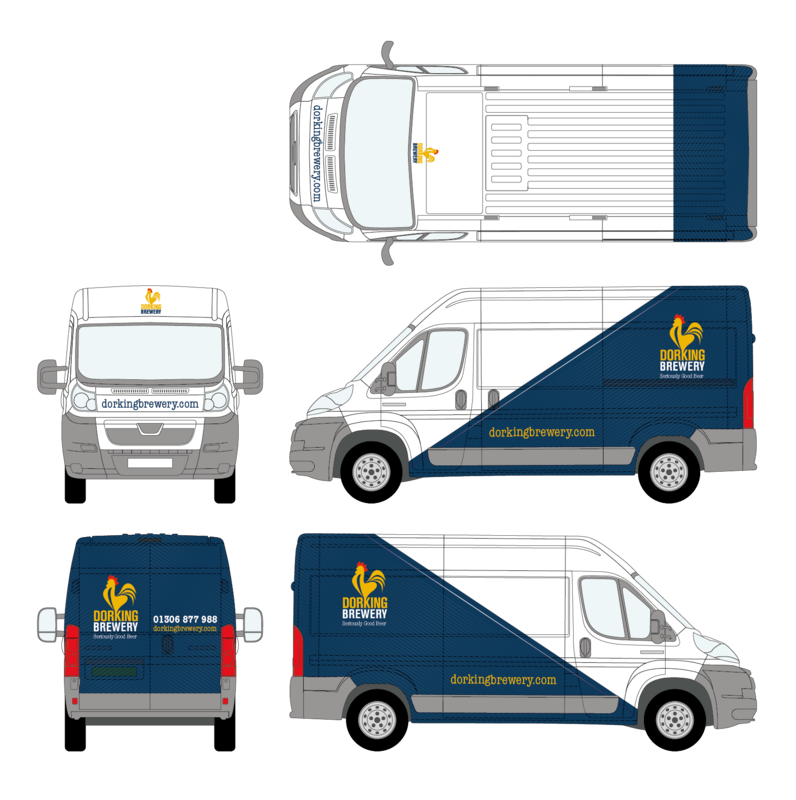 Progression Design, together with the logo redesign, also worked on new designs for the company’s van livery, cans and promotional literature. The rebranding have been enthusiastically received by the client and consumer alike – and sales are up!